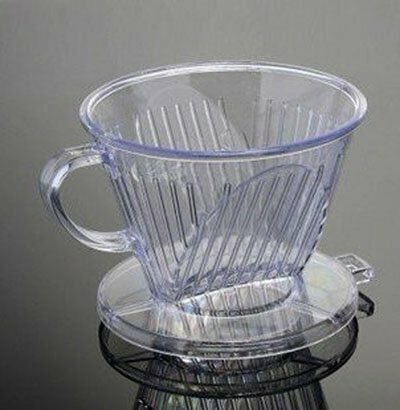 Product description: hand-drip coffee filter cup capacity :2-4 peoples weight: about 120g packing: about 12.5cm (length) * 10.5cm (w) * 8.5cm (h) material: as resin, heat-resistant polyester container (which can heat up to 110 degrees) features: office workers and home brewing coffee brewing groups most beloved tool, simple to learn easy, it is necessary first extraction tool for beginners. Coffee filter paper with 102 # need to use follicular coffee method does not look fancy, but the quality of coffee, but not out wire less, but there are other methods do not have to brew features. Follicles there are other coffee brewing methods difficult to achieve pure and rich fragrance layering, and has excellent convenience.